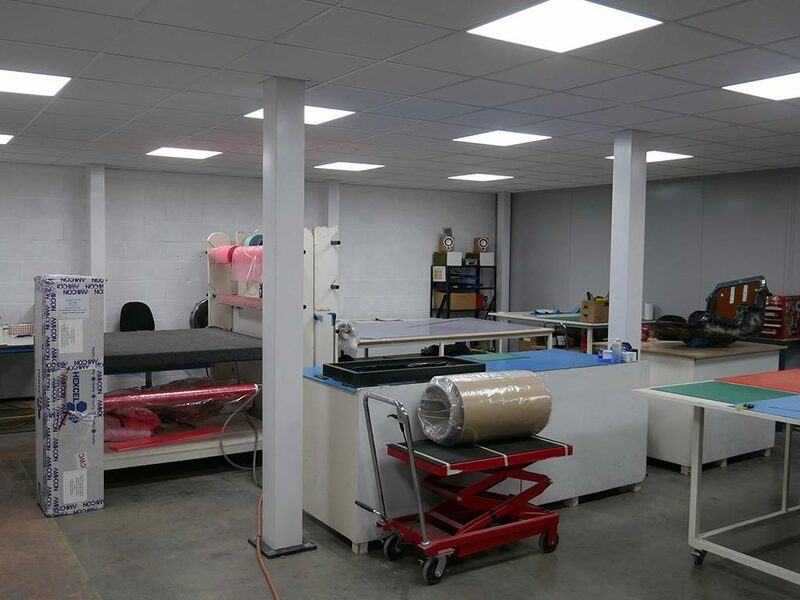 We are excited to announce the opening of our new Training Centre. 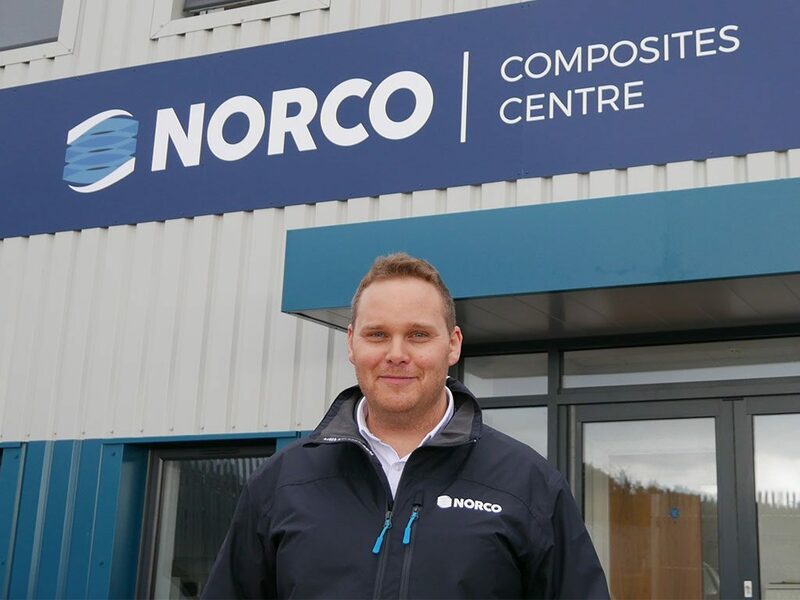 This is a purpose-built facility that is designed to give hands-on training for all new apprentices at NORCO. 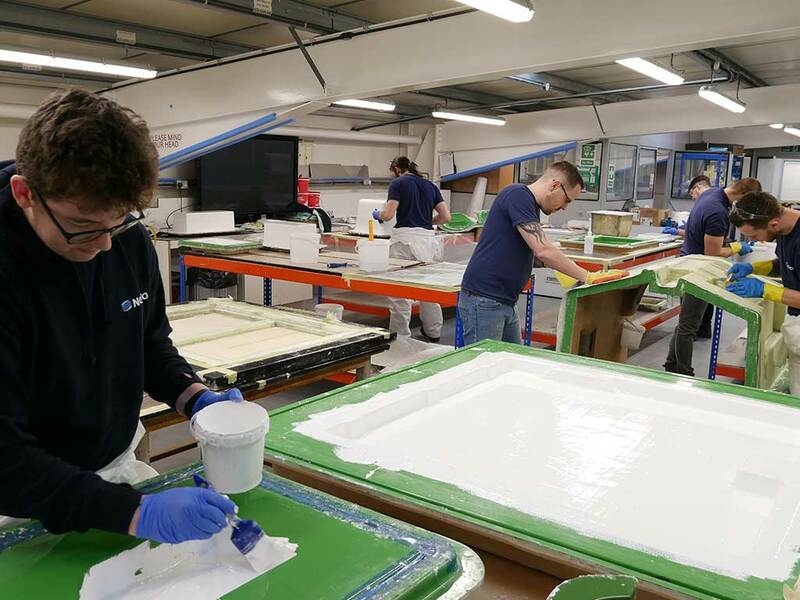 Due to the current shortage of skilled workers in the composite manufacturing sector, we took the initiative to set-up our own Training Centre. 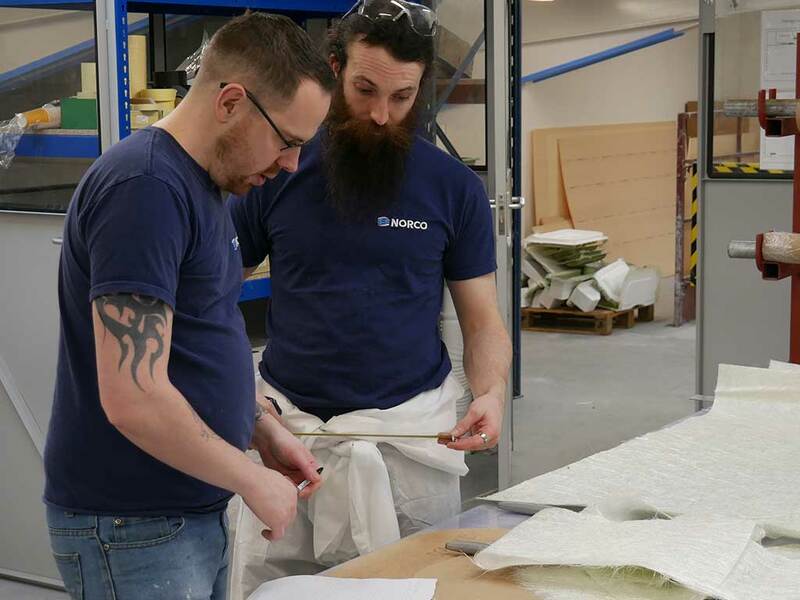 As a result, this will allow us to produce skilled personnel to our high standard and then have the ability to move staff across the company based on demand. 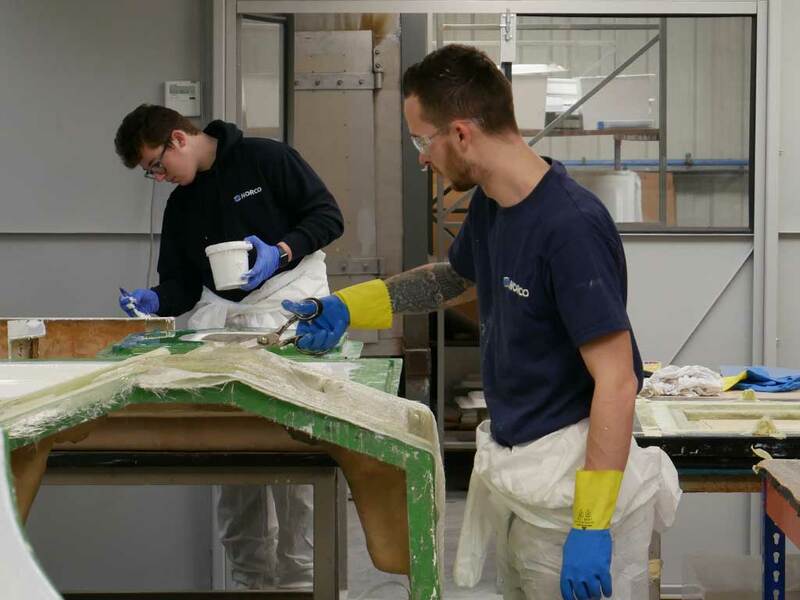 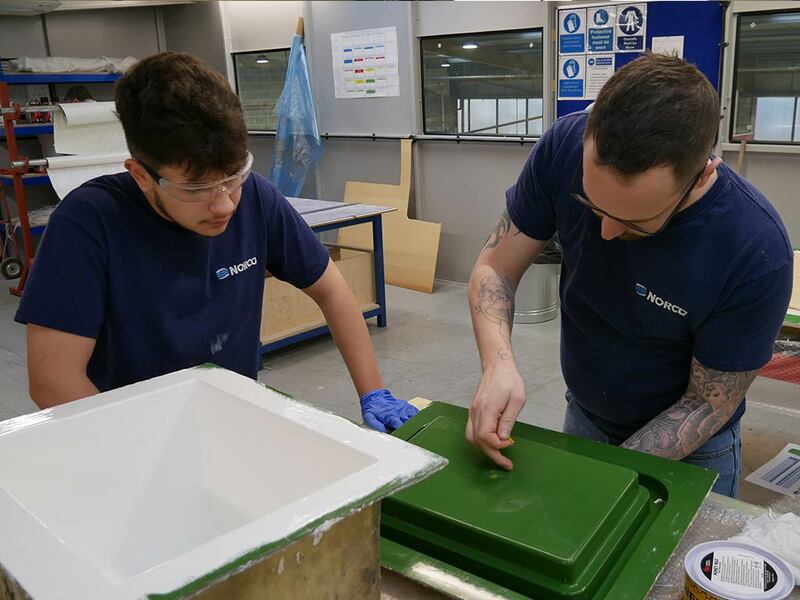 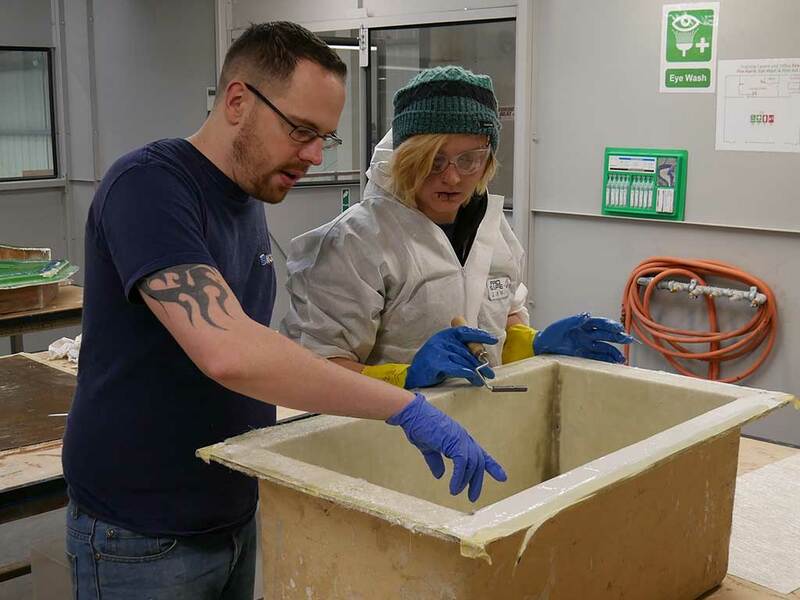 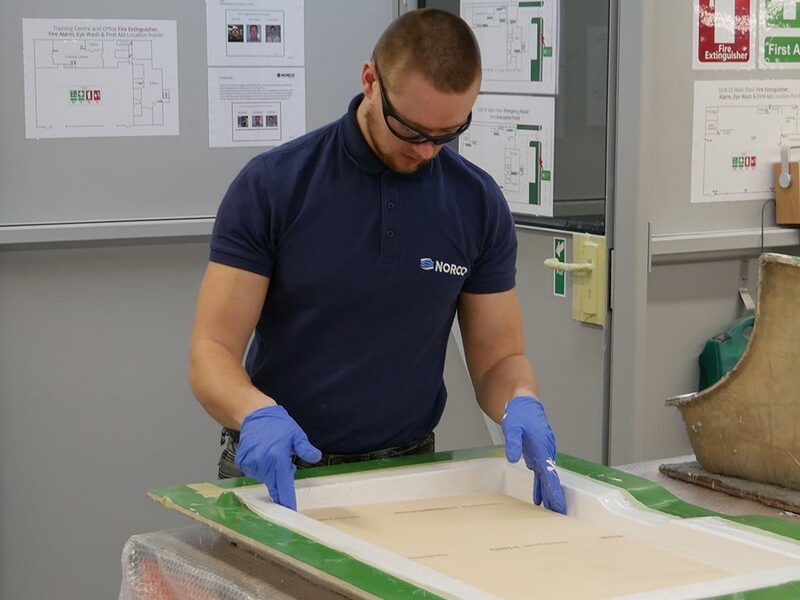 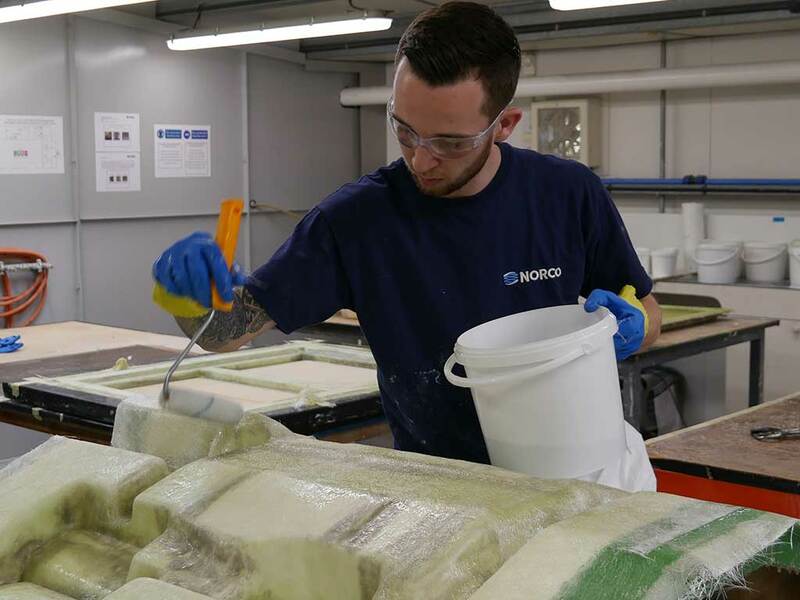 Our apprenticeship program starts in the new Training Centre where the apprentices are trained over a 6-month period in the 4 types of application that we carry out here at NORCO – Hand Laminating, Finishing, Infusion & Prep-preg. 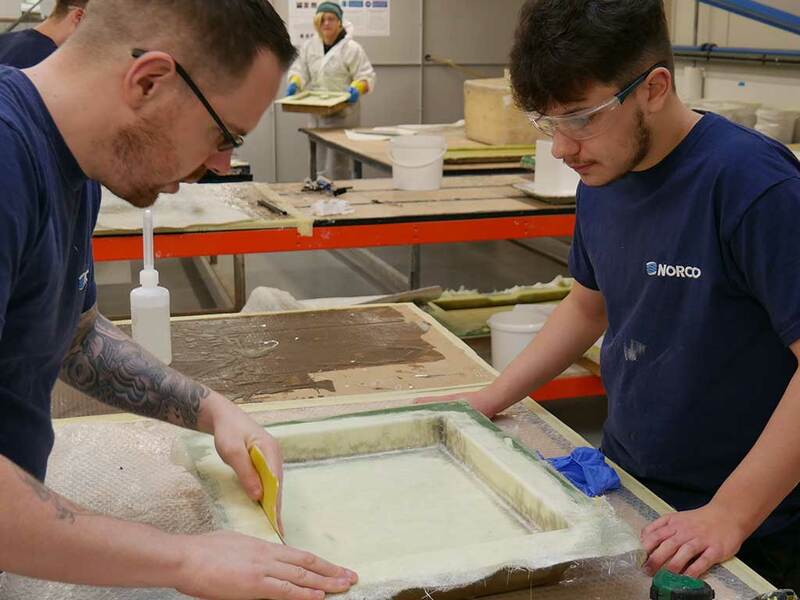 After the initial 6-month training stage, the apprentices will progress into our production shop floor for a further 30-months. 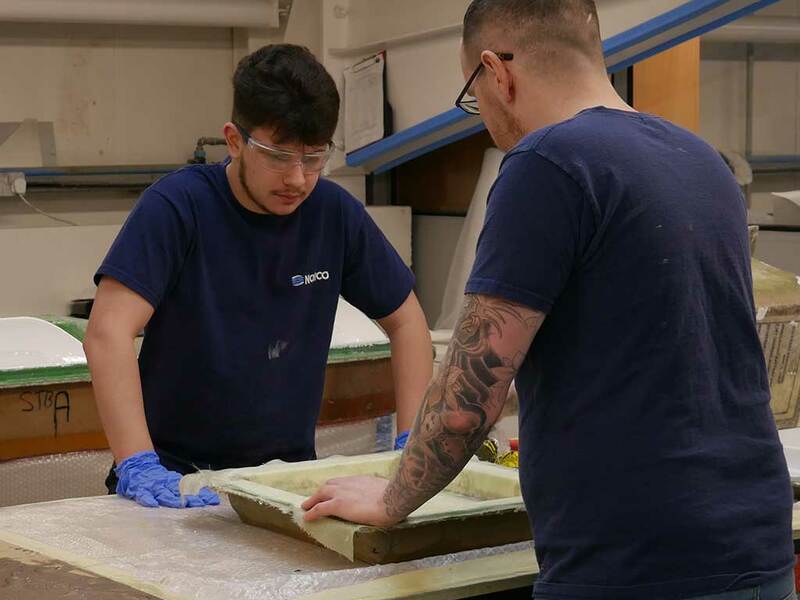 Accompanying their work experience, the apprentices will complete an NVQ in Composite Engineering Level 2 & 3 and a B-Tech Diploma in Composite Engineering Level 3 in conjunction with Yeovil College over the 3-year Apprenticeship. 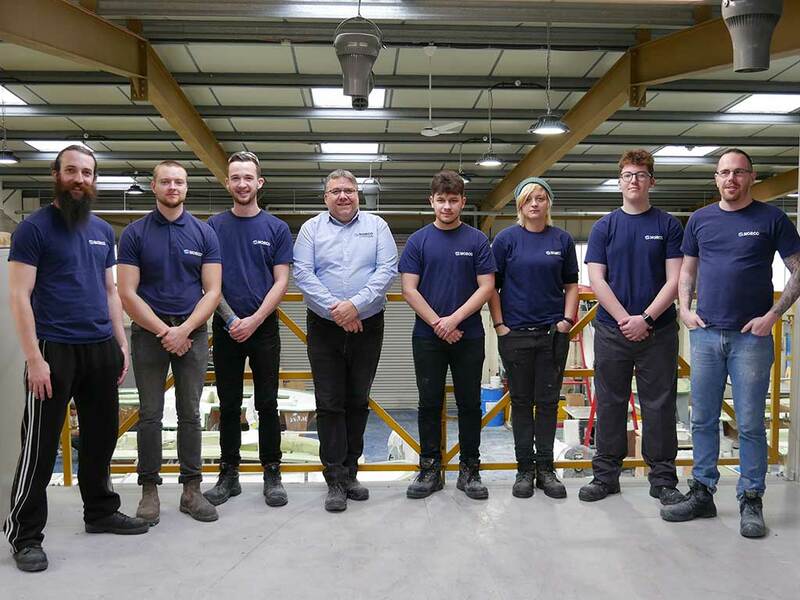 The program started on January 7th 2019 with our first intake of 6 apprentices and once their 6-month training period is complete, the next intake will commence. 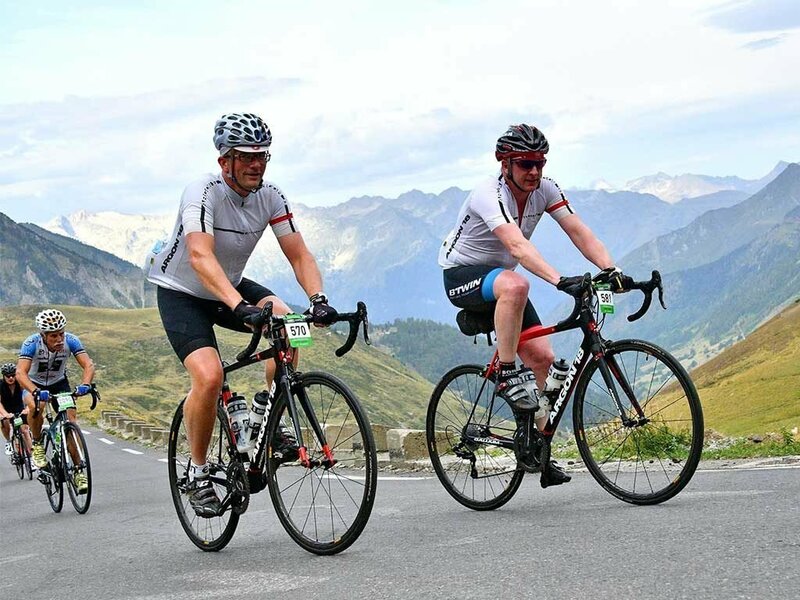 FINISHING: Chris Wood, Richard Doyle & Neil Ancell. 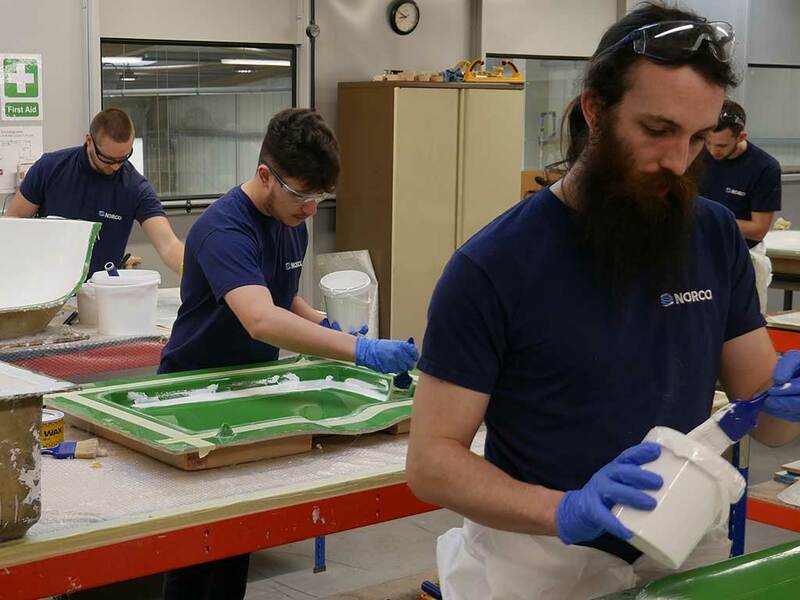 LAMINATING: Jason Elcock, Shane Scott, Chris Trowbridge & Luke Russell. 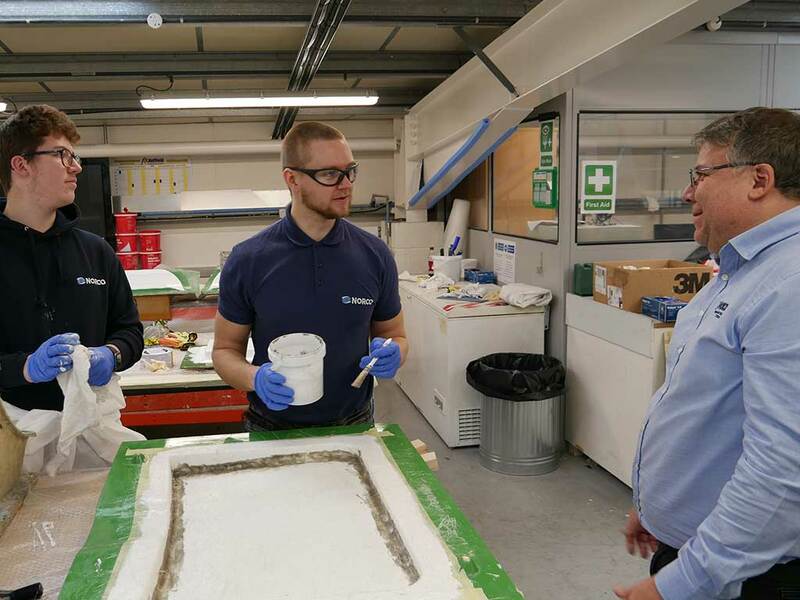 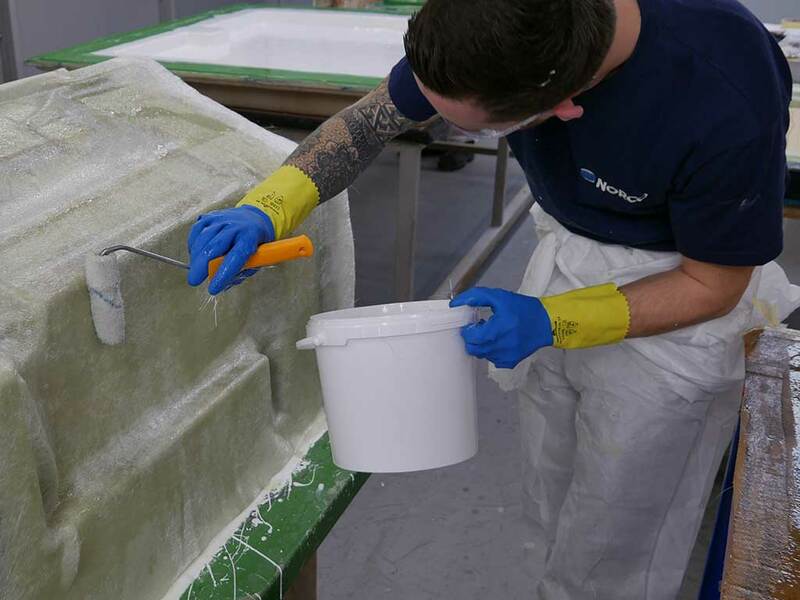 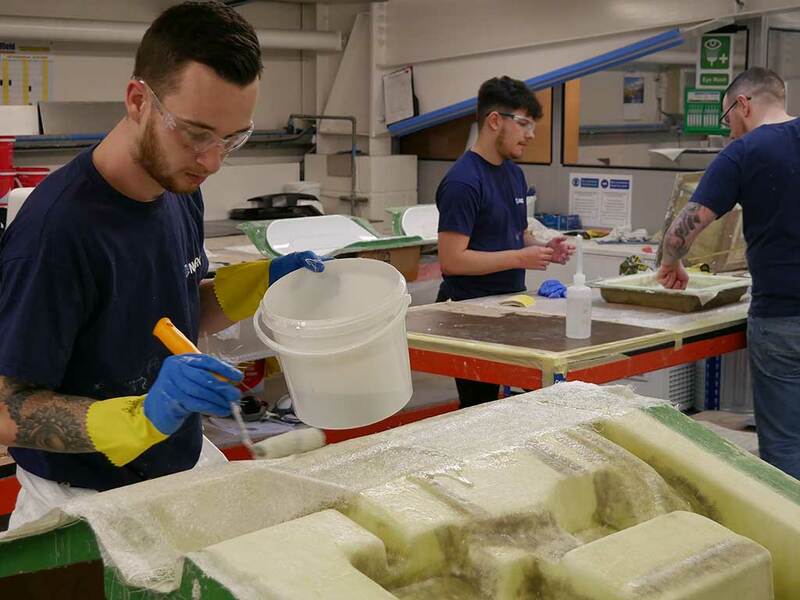 Our strategy is to continue to run our training centre program taking on 6 new apprentices every 6-months until the demand for skilled workers reduces in the composites sector.